Starting in Paris can be a perfect choice for a first time European traveller. The central location, easily navigable public transport, and bevy of world famous attractions. On your first day, you’ll undoubtedly be jet-lagged, but try to get out and see the city. Wander around the old Jewish quarter, Le Marais and pick up some the French staples cheese, wine, and bread. Take your spoils and head a bit out of the city center to the spectacular Basilica de Sacre Coeur at the peak of Montmartre. Have a small picnic on the steps as the sun sets magnificently over the city. Bring only your food and some petty cash as pickpocketing is common at such a naturally distracting site. Head back a bit early, and try to wake up normally, as to adjust to European time. Paris is uniquely walkable for a city it’s size. 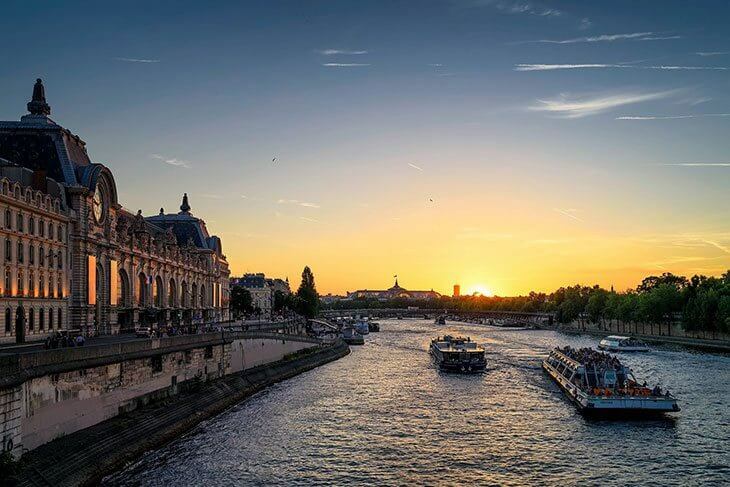 Put on your most comfortable shoes and head to the city’s beating heart, the Seine river. 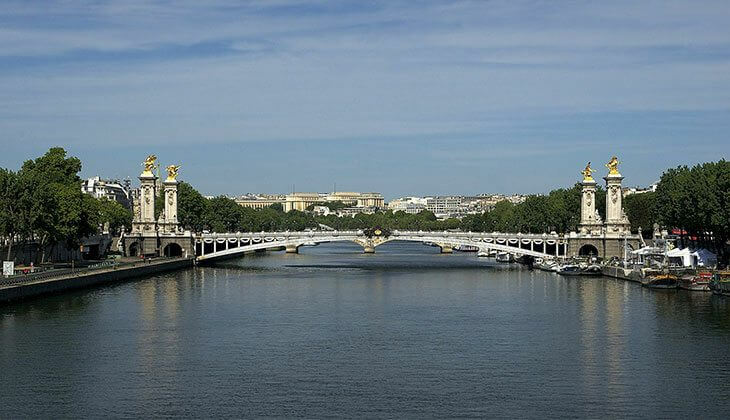 Flowing directly through the center, a long walk along the Seine will show you all the cities most magnificent sites. Start at Notre Dame Cathedral, where you can admire the stunning free-standing gothic buttresses, and intricate stone embroidery. A stop at the quaint Shakespeare and Co. bookstore is also a favorite for literary-minded visitors. 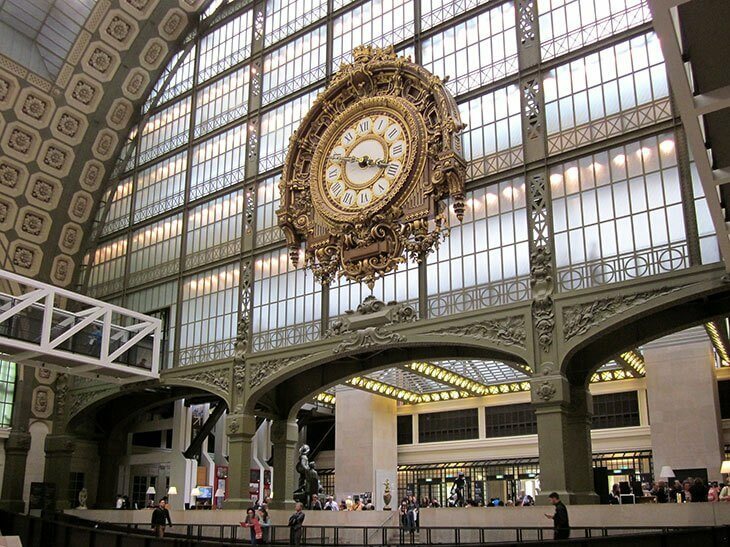 Further down, you’ll bump into two of the city's best museums, the stunning circular clocks of the Musee D’Orsay, and the monumental scale of the unmatched Louvre. As you keep strolling keep an eye on the intricacies of Paris’ lovely bridges and wonderfully consistent aesthetic. Walking past the gilded Pont Alexandre, you’ll be struck by the size of Les Invalides, a giant testament to France’s military history and the resting place of Napoleon himself. On the adjacent bank, the art deco roofs of the Grand Palais and Petit Palais belie neo-classical facades and fantastic modern collections. Closeby lurks the eminent boulevard of Champs Elysees which culminates with the solemn eternal flame of the Arc De Triomphe. 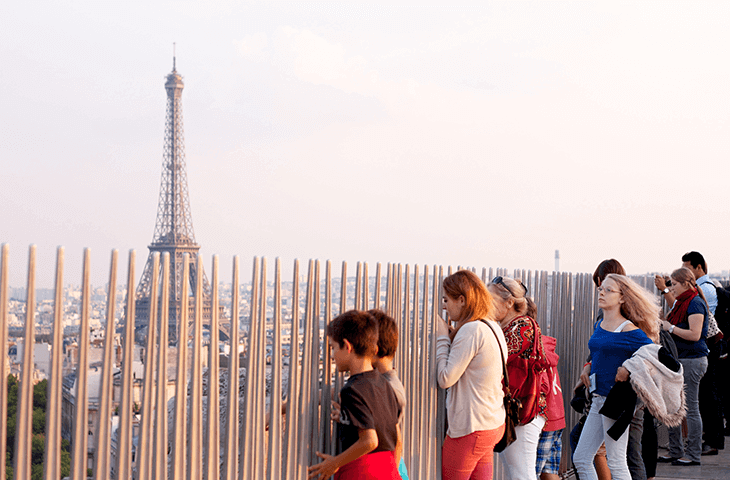 From there you can waltz down to the city’s most notable structure, the Eiffel Tower. Take a few moments to rest your feet on the lawn, or book a space to ascend to the top for fantastic views of the river. Now that you’ve seen all the outdoor sights, you’re probably ready to move inside for an air-conditioned escape. The two museums mentioned above are both must-sees. The Louvre houses the iconic Mona Lisa, as well as many other works from Da Vinci. There’s also the armless masterwork Venus de Milo, countless antiquities and the preserved private quarters of Napoleon III. The museum is so huge you’ll need at least 4 hours to see the highlights, so don’t waste your time in line! The cross river Musee D’Orsay has the world’s best collection of impressionist masters like Monet, Manet, Cezanne and Van Gogh. The turn of the century former train station is an attraction in itself. After 3 full days in Paris, a little relaxation is in order. Ride the rails just four hours to what will seem like another world. Amsterdam, is much more welcoming with it’s manageable size gregarious people, and reputation for personal freedom. A daytime stroll through the red light district offers unique propositions and is a bit more manageable that a nighttime visit but can still be a little overwhelming for some. Remember not to take pictures as many of the women prefer to work in relative anonymity. For delicious local beer and the chance to see the city’s last remaining authentic Dutch windmill, head to Brouwerij T’Ij. For a delightful dinner, head to one of Amsterdam’s ubiquitous Indonesian restaurants for a Rijsttafel (rice table) experience. If you’re not too tired of art, the Rijksmuseum has an amazing collection of Dutch masters, and beautiful sculptures. 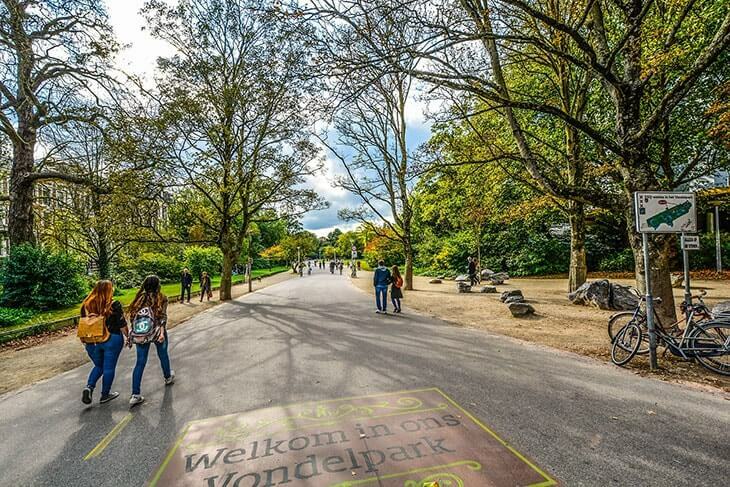 However, if you feel like spending the afternoon outdoors, Vondelpark is the place to be. Bring some fabulous dutch cheese and enjoy a picnic like a local. Afterwards head to Bazaar for delicious african food in a converted church. Outside there’s a daily street market where you can pick up a snack or a dessert of freshly cooked waffles. At night, you’ll find the nightlife in Leidseplein less gimmicky. Grab some beers or wine and find a spot on the canal walls for an authentic Amsterdam experience. In Amsterdam, you can always find what suits your needs. This will be your longest travel day. Wake up early, then sleep on the train and arrive in Berlin for a chance to experience a stark contrast of styles. 10 days in Europe gives you the chance to see wildly different cultural aspects in only a few hours. In berlin, you’ll see the crushing remnants of World War II, mix with communist era practicality. The difference between east and west sides of the city remain in the most unexpectedly noticeable fashions. For this reason, the city’s neighborhoods vary greatly in style. The center, Mitte, has the best preserved monuments and also a non-descript architectural style that is typical to many modern cities. The neighboring areas of Kreuzberg, and Neu-Koln are hipster havens full of trendy cafes and bustling with nightlife. Though much of the city was destroyed, Museum Island was largely spared. Sitting squarely in the center of the Spree, the island houses some of the world’s best museums. Buy your ticket for them all at the Altes Museum, which is home to many interesting antiquities, but is not the most popular attraction. 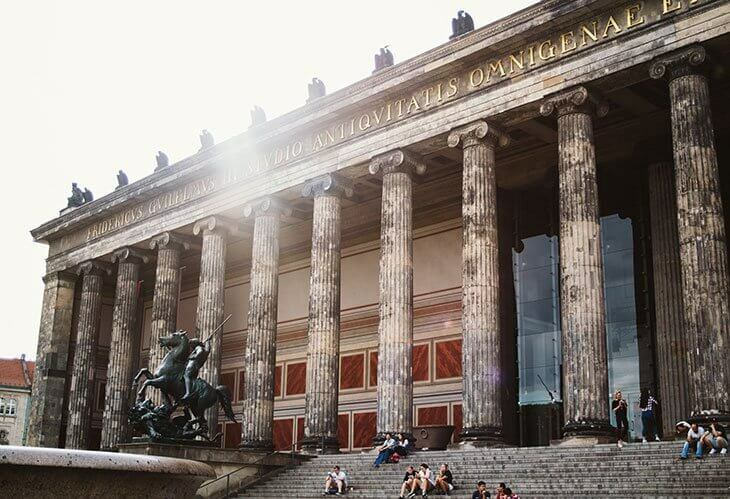 This will allow you to skip the line at the impressive Pergamon Museum, which features a full recreation of an ancient Roman agora. You’ll also be able to pass through the Ishtar gate of Babylon and take photos of countless massive sculptures from the interesting near east. Once you’ve had your fill, walk to the iconic Brandenburg Gate, the philosophical heart of unified Germany. Check out the gigantic overgrown central park, the Tiergarten, and take a break relaxing in the shade. Don’t miss out on the disorienting Holocaust memorial designed by Daniel Libeskind. Remember it’s not a park, you will likely see tourists running and playing on the cold concrete blocks. However, each block represents a specific tragedy, and it’s best to take funny photos elsewhere. For the best views of all the attractions of Mitte, book a time to ascend the glass dome of the Bundestag. This building has been the center of German politics, and unfortunately, a symbol of both the rise and fall of Nazism. For a local perspective, book a fantastically managed tour, that will give you insight into the strange and startling history of German politics. The Bundestag represents a mixture of modern politics and a necessary vision of the horrors of the past, and is well worth an appointment for reasons beyond the fabulous photos you’ll bring home. On the east side, there’s a totally different vibe. Artifacts of Berlin’s divided past lurk around every corner. The former communist sector, the East Side has become a bastion of arts and culture. 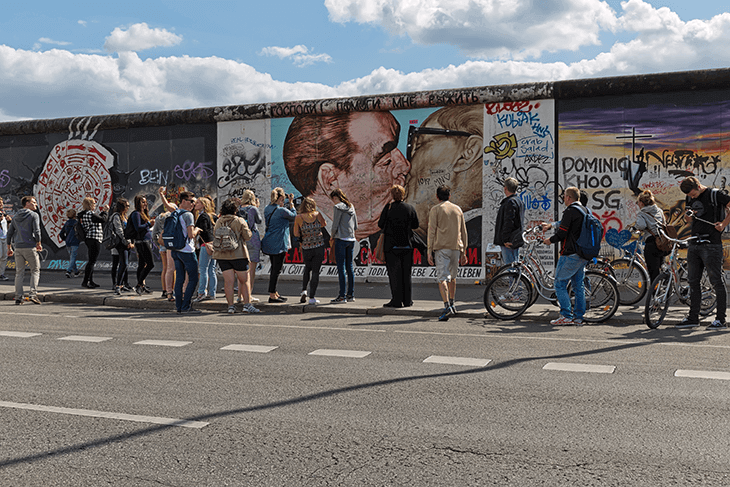 The remaining section of the Berlin Wall, is now an art gallery testifying to the unity of humanity. There are street art installations as well as a photo exhibition of the walls that continue to divide us. 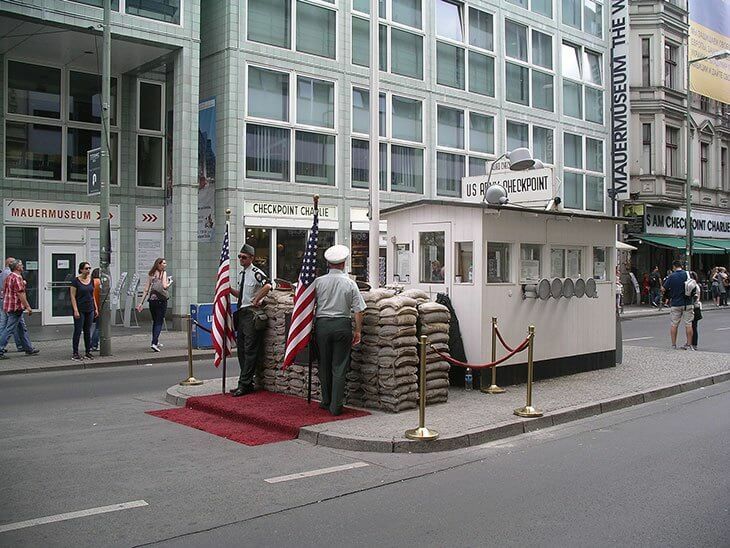 For a touristy, but still chilling time, pass through Checkpoint Charlie, once the only sanctioned passage between east and west Berlin. As night falls, try one of Berlin’s culturally concocted food creations. There’s the spicy covered local east meets west mashup of Currywurst, and the original Doner Kebab, which began as a cheap taste of home following Germany’s large influx of Turkish immigrants. So far, you’ve done so much. 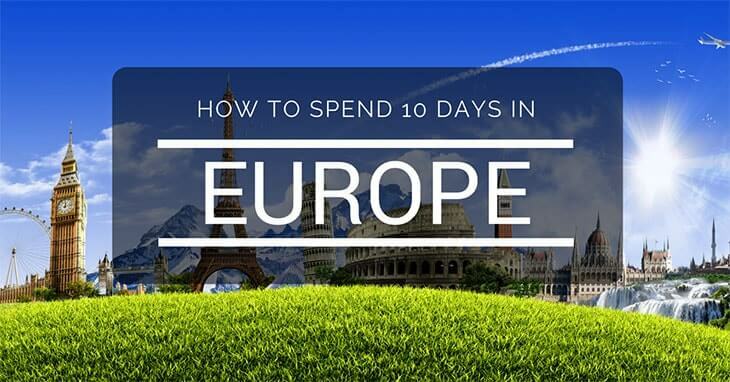 You’re 10 days in Europe is also about a bit of relaxation. 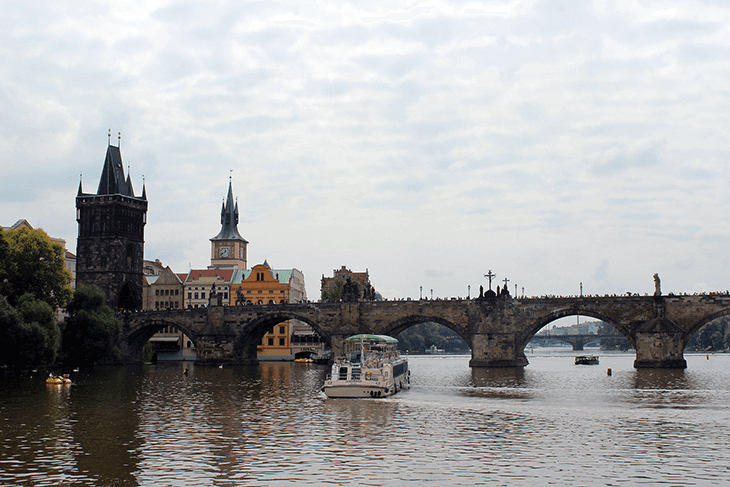 Prague is the perfect place to take care of yourself. The cheap prices and precious setting, will send you back in time. Largely spared from war damage, Prague is the best remaining example of regal Bohemian architecture. The calming Charles river snakes through the city dividing the old and new sections of the city. Enjoy the vibes of the old town, and watch time tick away on the intricate Astronomical clock. There’s no pressure, or intimidating museums here, just magical ambience and aesthetics. On your last day, you can take an active stance or move slowly along the river. If you feel like a hike, climb to Prague castle for beautiful city views, or to the peak of Petrin Hill for absolutely breathtaking vistas. If you’re understandably tired, you can instead chill along the riverfront parks. Take a beer to go from the nearest bar and relax in the sun and watch the city slowly pass you by. You can return home with a clear conscience knowing you’ve seen a lot in your 10 days in Europe. 10 days in Europe is not even close to enough time. However, this trip offers a chance to see many distinct cultures without spending too much time on trains or in airports. If you have any suggestions for people embarking on their first European adventure, please comment below. There are many other cities you can visit, and you cannot really go wrong. Take the parts you like and create a trip fitting to your needs, it’s your vacation after all.